Because of the movable date of Easter, and of everything that depends on it, the Ember Days of September can occur within any of the weeks after Pentecost from the 13th to the 19th inclusive. This year, they occur within the 17th week, which is where they are traditionally placed in the Roman Missal , but next year, for example, they will fall within the 14th week. This placement in the text reflects a very ancient theme which permeates the Masses of this set of Ember Days, and which seems to be particularly appropriate for our current annus horribilis. On the Ember Wednesday of September, the Gospel is St Mark’s account of the healing of a possessed child, chapter 9, 16-28. 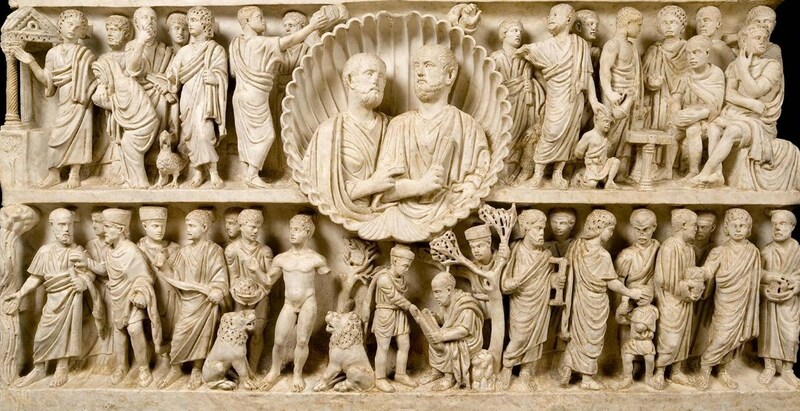 Apart from Easter and the Ascension, the ancient Roman lectionary makes very little of use of St Mark, notwithstanding the tradition that the Evangelist was a disciple of St Peter and composed the Gospel while he was with him in Rome. Here, his version was surely chosen for the moving account of the exchange between Christ and the child’s father, which is less detailed in St Matthew’s version. 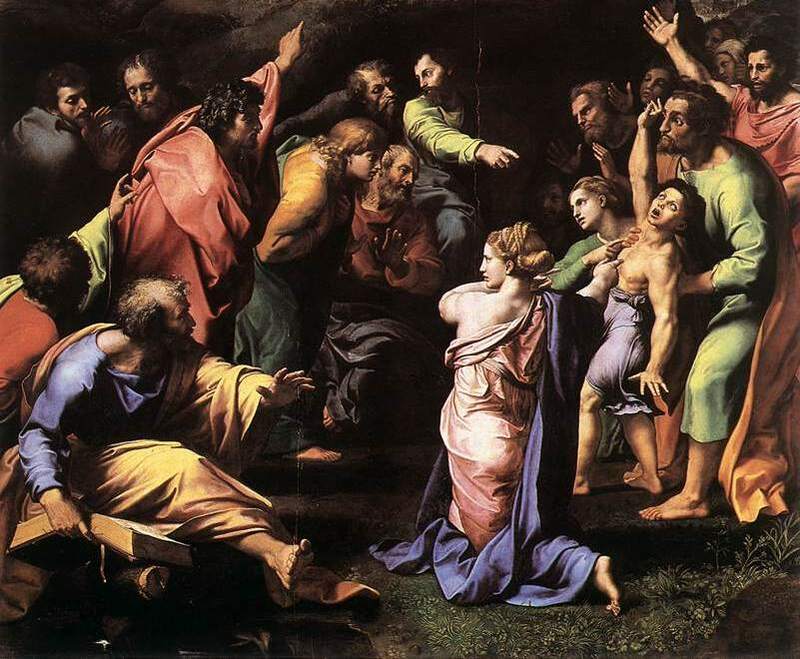 The lower half of Raphael’s Transfiguration, the story which precedes the Gospel of Ember Wednesday. The possessed child’s father, on the right side in green, presents him to the Apostles; Raphael beautifully captures the pleading in his facial expression. The brightness of the figure symbolizes his faith, as it does likewise in that of the possessed child, for devils, as St James says, have no doubts about God. (“Thou believest that there is one God. Thou dost well: the devils also believe, and tremble.” 2, 19). The brightest figure, the woman kneeling next to the boy and pointing at him, is an allegorical figure of Faith itself; where the light on these figures expresses their belief, the nine Apostles on the left are wrapped in shadow to symbolize the lack of faith that prevented them from casting out the devil. At the end of the passage, the disciples ask Christ why they could not expel the devil, to which He replies, “This kind can go out by nothing, but by prayer and fasting.” In the Office, these words are sung at Lauds as the antiphon of the Benedictus. On Ember Friday, the Gospel is that of the woman who anoints the Lord’s feet in the house of Simon the Pharisee, St Luke 7, 36-50. This is one of the very few examples of a Gospel which is repeated from another part of the temporal cycle; it is also read on the Thursday of Passion week, and again on the feast of St Mary Magdalene, with whom the woman is traditionally identified in the West. This identification is partly reinforced by the words of St Luke which come immediately after it (chapter 8, 1-3), although they are not read in the liturgy. 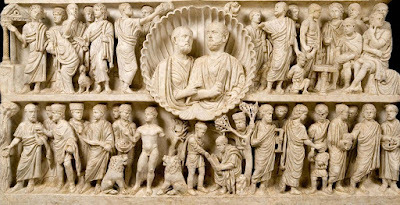 An ancient Christian sarcophagus known as the Sarcophagus of the Two Brothers, made in the second quarter of the 4th century, now in the Vatican Museums. The healing of the crippled woman is depicted in the upper left. 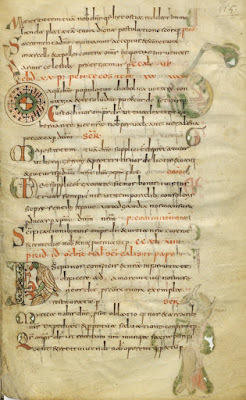 Each of these Gospels, therefore, refers to the same theme as the Collect of the 17th Sunday, the Church’s prayer to the Lord to protect Her and Her individual members from the malign influence of the devil. However, as Fr Zuhlsdorf noted a few days ago, the 2002 revised edition of the Missal contains certain hints of an awareness that the post-Conciliar reform wantonly threw out far too much of the traditional Roman Rite. Among the things which it restored is the traditional prayer of the 17th Sunday after Pentecost, which now appears as an optional collect among the Masses “for any necessity”, raising the total number of references to the devil in the Missal to one. The General Instruction of the Roman Missal contains an exhortation (and no more than that) to the effect that Rogation Days and Ember Days “should be indicated” (“indicentur”, not “indicandae sunt – must be indicated”) on the local calendars, and a rubric (I.45) that it is the duty (“oportet”) of episcopal conferences to establish both the time and manner of their celebration. Unsurprisingly, this rubric has mostly been ignored. In recent days, however, it has become impossible to ignore the hideous consequences of the almost total abandonment of any kind of ascetic discipline in the life of the Church, and the free reign which this seems to have given to the devil. As a result, some bishops have called for the faithful to fast on the Ember Days this year, among them Robert Morlino of Madison and David Zubik of Pittsburgh, along with a number of Catholic commentators. If the Church does not wish this annus horribilis to become a lasting feature of its life, a permanent and universal restoration of the traditional discipline of fasting, including the Ember Days, would be a small but important step in that direction. In many medieval liturgical books, they are placed after the last Mass of the season after Pentecost, as for example in the Sarum Missal. It is tempting to think of this as proof that the Roman lectionary tradition, which is first attested in the lectionary of Wurzburg ca. 700 AD, was already set down 250 years earlier in Pope Leo’s time. 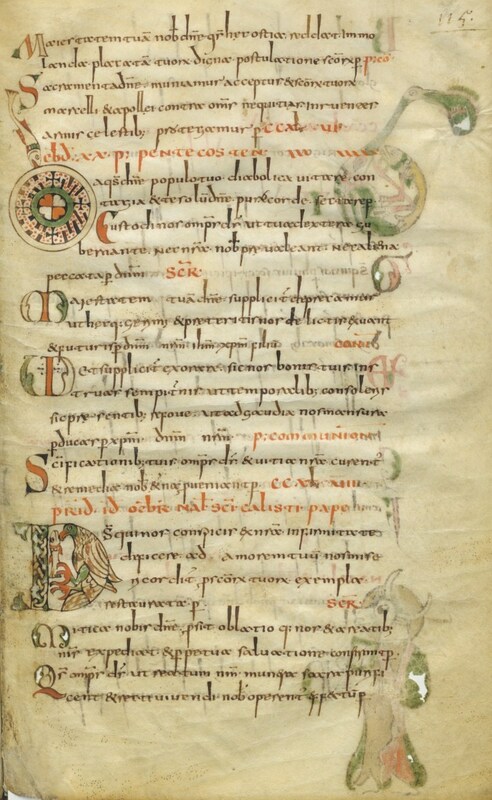 This is quite possible, of course, but it is equally possible that the unknown compiler of the lectionary was inspired to choose this Gospel by reading Pope Leo’s sermon.